Because Mrs. Pondero had other plans for our Saturday afternoon, my craving for gravel had to be met early. 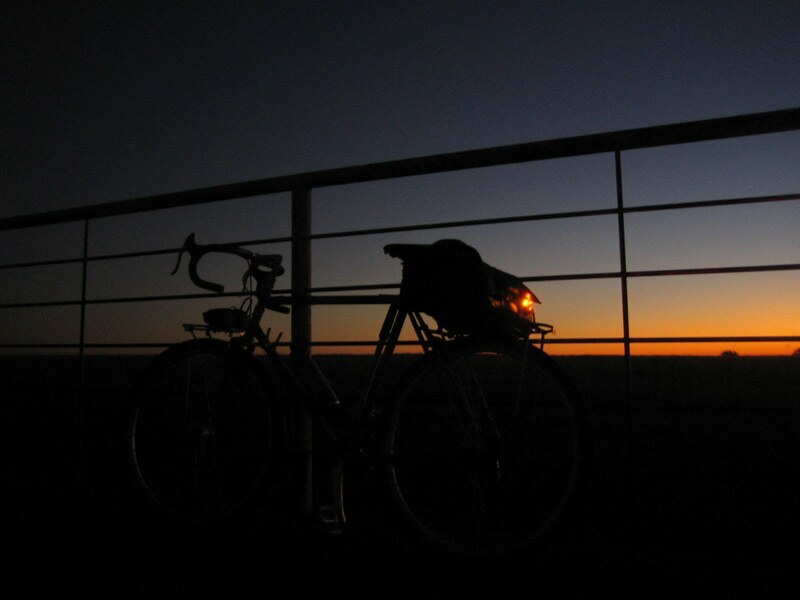 Because there aren’t many street lights out here on the prairie, it can be sometimes be rather dark when I start my rides. The photo above was about 30 minutes into the ride. I really enjoy my lights. On the menu this morning was what I’ve named the “Slidell Loop”. 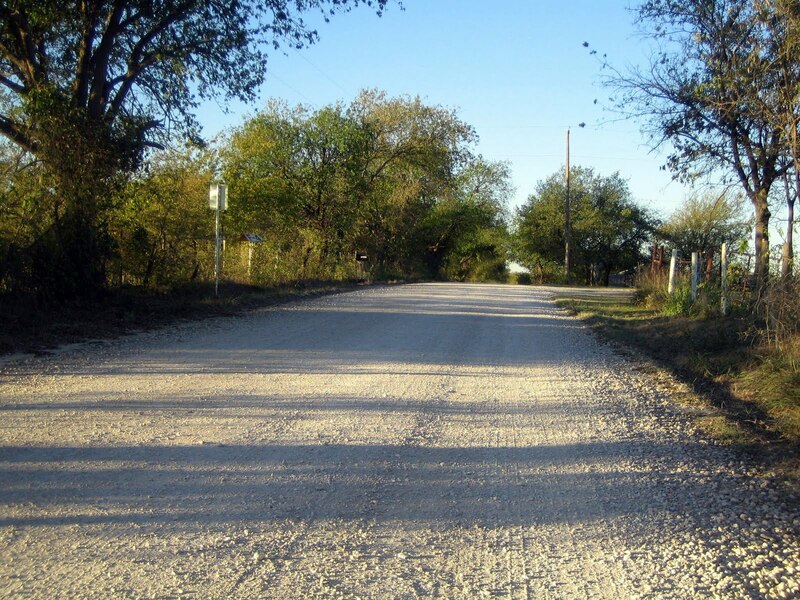 It’s about 32 miles, and a large majority of it is gravel. Because so much of this route is car free and quiet, there are long periods of no sounds but the wind and tires crunching gravel. The last time I did this loop, it was much hotter outside, and I had company. 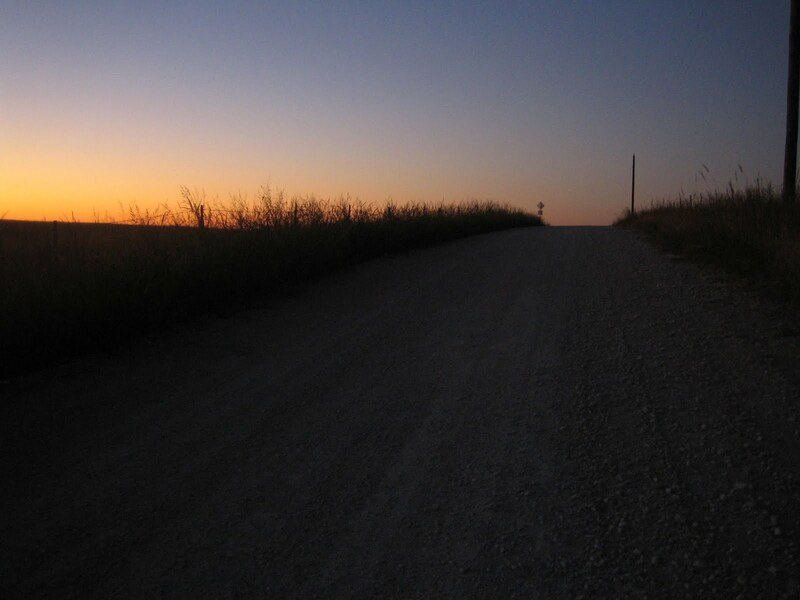 After a nice, hot cup of fresh coffee, there’s not much better than cruising down a rural gravel road on a crisp autumn morning. …at least that’s my perspective on things. Looks like you've got an interesting coffee brewing technique there. I can't quite tell what's going on with that.I have a nice metal coffee mug that keeps my coffee hot for a good long time. If I were to bring coffee on a ride, I think I would just use that mug.Your bicycle looks beautiful, as always, but especially so in that warm morning light. Wow, I'm jealous. I only had Cheerios for breakfast! Your perspective and my perspective seem to align so very close. Looks like a fine way to start the day. Apertome, sometimes I just bring a thermos. Other times, I like to give myself something to do, and brew it fresh. 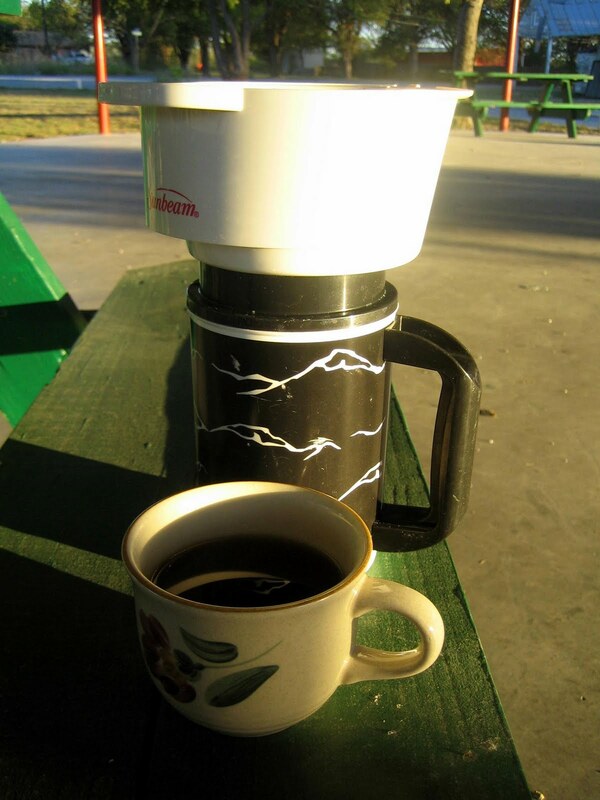 The photo shows a typical filter-holder from a automatic drip coffee maker sitting on top of an insulated mug. I heat the water and pour over the grounds in the filter-holder. I could have drank out of the insulated mug, and left the redundant small dainty cup at home, but my rear bag keep swallowing stuff sitting nearby while packing. I like your perspective. 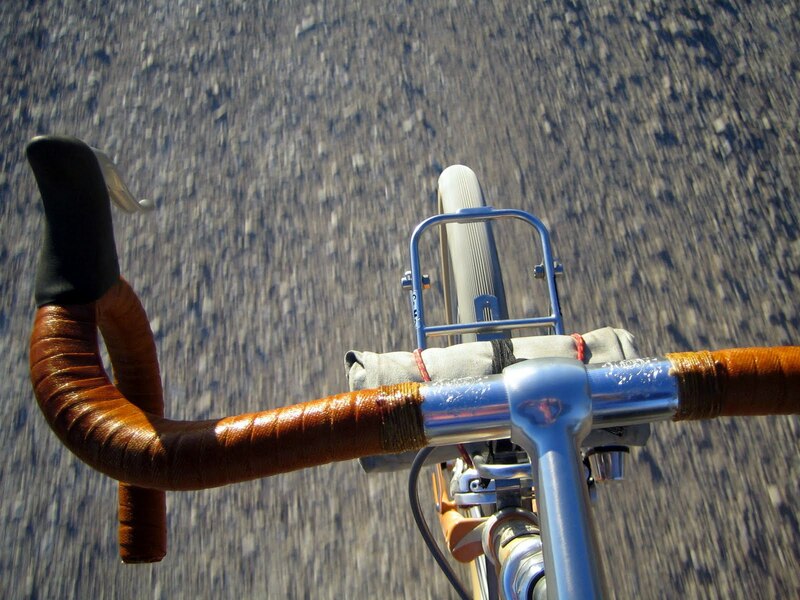 This morning I'm having a "got-to-get-those-darn-Velo-Orange-fenders-mounted-on-the-new-bike-so-I-can-call-it-finished-breakfast". Pleasant. Just plain ol' pleasant. Yes, I remember Slidell well. It's one of those Hee-Haw towns. You want to stand up in the middle of the teeny town square and say, "Slidell Texas… SALUTE! 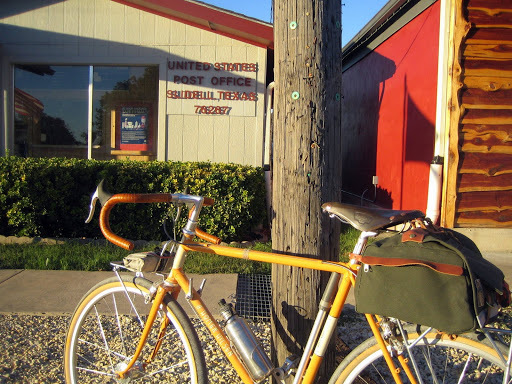 "As I recall, that route is about 31 miles of gravel and a mile of pavement or something pretty close to that.I hope the schedules work out and I'll be up for another ride soon!